Stephanie Says: Frozen potatoes are a necessity for the baking times to be right. I actually use dry onion flakes reconstituted instead of fresh onion. You can also substitute the corn flakes for crushed Ritz crackers or potato chips. This recipe can be doubled for a larger party, but remember to adjust the baking times to suit the larger volume. Grease 9"x13" baking dish. Preheat oven to 350°F. In a large bowl combine soups, sour cream, cheese, onions, garlic salt, seasoned salt, & the ½ cup melted butter or margarine. 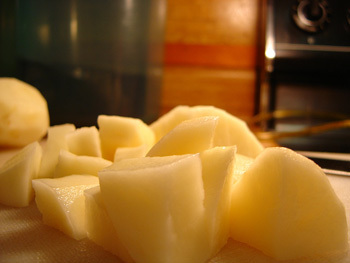 Gently fold in hash browns, then gently fold in diced potatoes. Pour mixture into pan. Combine crushed corn flakes & the 2 tbsp melted butter or margarine. Sprinkle on top of potato mixture in baking dish. Place squash cubes & 1 tbsp of butter into a skillet over medium heat. Stir occasionally until cooked through (roughly 10 minutes) then remove from heat & set aside. Melt remaining butter in a saucepan over medium-high heat. Add onion & garlic; cook & stir for 2 minutes until they begin to soften, then stir in the rice. Continue cooking & stirring until the rice is glossy from the butter, & the onion begins to brown on the edges, about 5 minutes more. Pour in the white wine; cook, stirring constantly, until it has evaporated. Stir in ⅓ of the hot vegetable stock; reduce heat to medium. Cook & stir until the stock has been absorbed by the rice, 5 to 7 minutes. Add half of the remaining stock, & continue stirring until it has been absorbed. 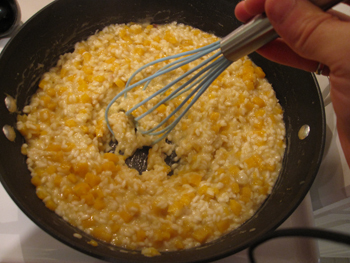 Finally, pour in the remaining stock & butternut squash, & continue stirring until the risotto is creamy. Stir in the Parmesan cheese, & season to taste with salt & pepper. Finally top each individual serving with Pecorino Romano cheese. Mandie Says: White rice goes well as a side dish. All of the above ingredients are to taste. Wrap all the ingredients into tin foil. Bake at 356° F.
Michelle Says: Use real apple cider vinegar – the flavored stuff is not the same. Make sure to have plenty of tortilla chips on hand, as the salsa is even better fresh than canned! Wear rubber gloves when handling the peppers. 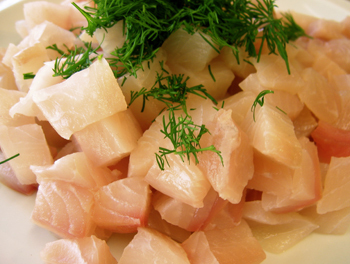 Chop each ingredient with a food processor, being careful not to chop too finely or chop by hand. Mix all ingredients together. Test for degree of "hotness" by adding chopped jalapenos one at a time. 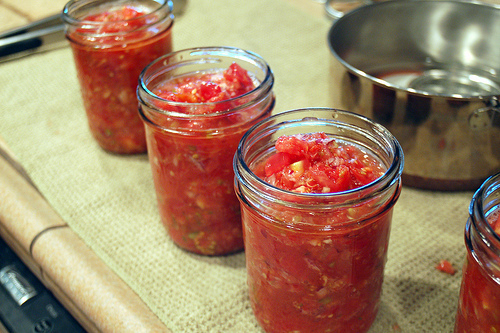 Pack in hot, clean canning jars; seal & water bathe can for 25 minutes for pints & 30 minutes for quarts. Combine & bring to a boil. 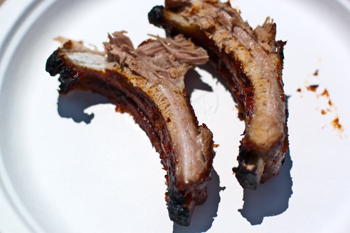 Place ribs on a flat pan. Sprinkle ribs with garlic powder. Arrange onion & lemon slices on top. Bake, uncovered, in oven at 450°F for 30 minutes. Drain. While ribs are baking, make the sauce. Place ribs, onions, & lemon in heavy baking dish or pan with lid. Pour hot barbecue sauce over ribs. Cover and bake in 325°F oven for 1½ hours.